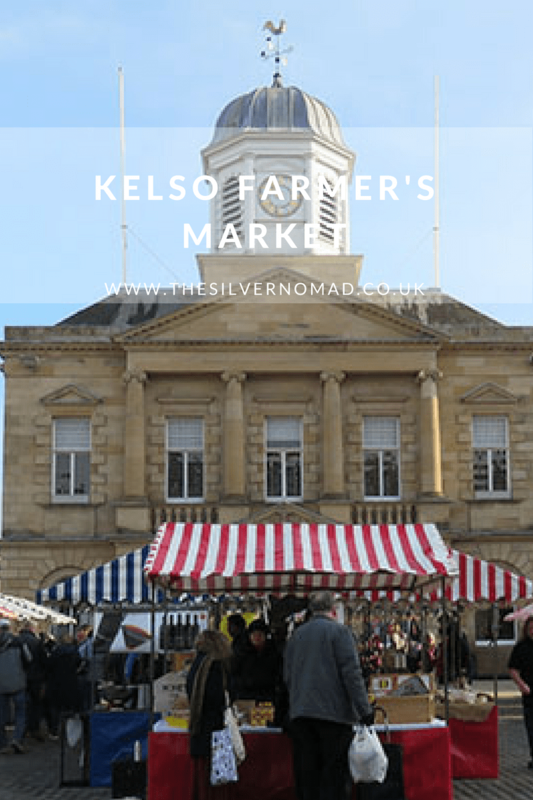 I love mooching around Farmer’s Markets wherever I come across one, but my all time favourite is the small but beautifully formed Kelso Farmer’s Market in the Borders. The Market is on the fourth Saturday of the month in Kelso Square from 9.30am until 1.30pm. Just before the ‘Beast from the East’ snowfall in February, we spent a sunny Saturday morning wandering around the stalls to visit and here are a few of our favs! Osso Restaurant – Sausage Rolls, but not as you know them! This is Alan’s first stop when we get to the market. The piles of golden pastry stuffed with delicious fillings like Haggis & Black Pudding or Chicken & Bacon, have him salivating. We always walk away with a bag filled with these delicious goodies, and are delighted to hear that they are considering selling them on-line! Check out their website at Osso Restaurant. On a cold day, a wee tot of Kitty’s Homemade Ginger Wine warms you up a treat. A family recipe with a combination of ginger, lemon and eastern spices, it is perfect to add to alcohol, make into a delicious non-alcoholic cocktail, or have it on its own. We had it warmed at Kitty’s stall before buying a bottle! Kitty’s Ginger Wine. is available to buy online or at one of the many markets she attends. It is not just the two-legged visitors that get treats, Woofers Cottage sell tasty – well our Parson’s Terrier, Izzy thinks so – dog treats for the more discerning dog. Available in Mint & Parsley (good for the breath! ), Peanut Butter Donuts, Cheesey Dugs or Cheese and Herb, these are ideal as a wee present for your four-legged friend. Contact on their Woofer Cottage Dog Treats Facebook page. What started as a hobby has turned into a business for local honey producer Mark at Greenknowe Honey. After increasing their number of hives, and many hours of devotion, they now produce pure clear honey in jars and squeezy bottles, set honey, honeycombs as well as beeswax candles. Just next to Woofers Cottage is the colourful stall of I Heart Bags. Handmade out of genuine Harris Tweed cloth which is sourced directly from the isle of Harris. So much to choose from, not just beautiful bags, but lavender hearts, ipad covers, jewellery and even the very smart Harris Tweed dog coat in the photo. Have a look on their I Heart Bags 2017 Facebook page. The market is on every fourth Saturday of the month in the Square from 9.30 to 1.30pm. Check out the Kelso Farmer’s Market on Facebook for upcoming dates. The next market is Saturday 24th March. Do you have a Farmer’s Market near you? What is your go-to stall? We’d love to hear from you!